Range day can be full of excitement and adventure, but it can also be a time for minor injuries. From slide bites to bumps, bruises and scrapes, it’s important to have the right tools on hand to treat accidental injuries that occur while shooting. A first-aid kit nestled in a range bag could be the difference between a good day at the range and a premature departure. 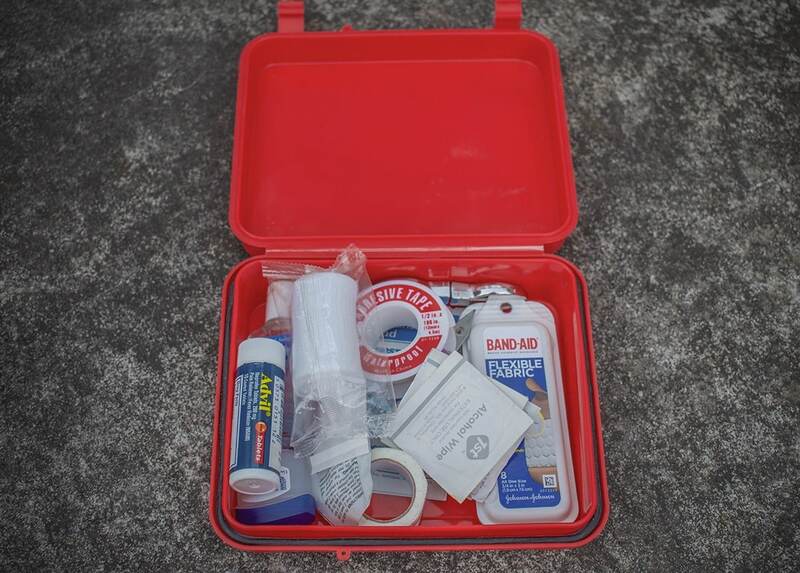 A first-aid kit is a collection of items gathered together to help treat wounds or trauma in the event of an injury. First-aid kits are versatile and can be tailored to fit whatever environment a person occupies, be that a car, home or even the range. While most ranges have first-aid kits on hand with trained individuals staffing its counters, it’s important that gun owners themselves have a first-aid kit on hand in their range bag. Even if you frequent a range with a well-trained staff, there are times where you might go shooting at a different facility or with some buddies in an unfamiliar area. 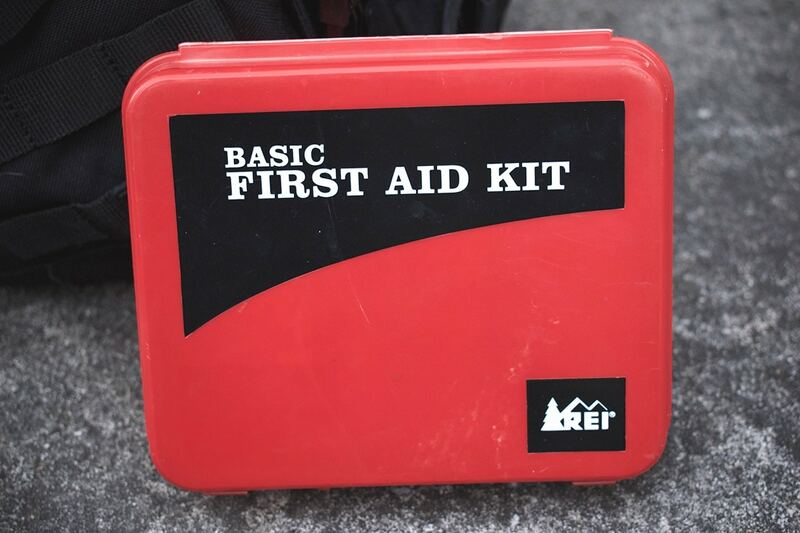 Having a first-aid kit already ready to go in your pack eliminates any last-minute packing and ensures you have the tools on hand should an accident of any kind occur – be it a slide bit on the web of your hand or something more serious like a wound caused by ricochet. Having your own first-aid kit stocked with supplies near you at all times on the range or while shooting ensures that if you or a range mate is hurt, injuries can be attended to quickly and efficiently. What should I pack in a first-aid kit? A first-aid kit doesn’t have to be a monstrosity taking up space in your range get-up. Many retailers and tactical style shops offer pre-made, ready to go individual first-aid kits, commonly referred to as IFAKS. These compact kits are easy to toss into the front or side pocket of a pack and usually house the essentials to care for common gun related injuries. They differ in price depending on what exactly is stocked but can be as little as $20 or as much as $150. Another alternative is to make your own first aid kit. Using any small container, gun owners can pull together supplies to care for common injuries. Items like band-aids, small bandages, gauze, tape, pain relieving medication, alcohol wipes and hand sanitizer are all good fodder for first-aid kits. Additionally, it’s always recommended to keep a tourniquet on hand as well for wounds that require blood flow be stemmed immediately. I also toss a permanent marker into my kit to take notes if needed and record the time a tourniquet is applied. While having a first-aid kit is essential all on its own, knowing how to apply the concepts of first-aid as well as use the tools enclosed in the kit is vital. First-aid training should be accomplished by all, but especially those that operate and wield firearms. Though we all strive to be competent and responsible while shooting, accidents do happen and when such situations arise it’s important to know how to treat them. First-aid classes are available nationwide through various programs such as the American Heart Association, Red Cross and National Safety Council. Look for a training opportunity nearby and sign up for a class. The course will include helpful information on how to treat basic injuries and grant its students the knowledge to deal with situations until first responders arrive. A first-aid kit is a range essential. Coupled with a first-aid course, the kit can prove vital when things don’t go quite as planned on range day. Though it can be frustrating to fit one more thing in your already overstuffed bag, a first-aid kit takes high priority and is a must-have in any range set-up. The post Why you should bring a first-aid kit to the gun range appeared first on Guns.com. Best Shot Timers : BEEEEP!